Price match the Fred Meyer ad to: $1.98/lb. Apples, Red Delicious $.87 /lb. Bell Peppers – Green $.65 /ea. Bell Peppers – Red/Yellow/Orange $1.14 /ea. Grapes – Red/Green $2.38 /lb. Lettuce – Green Leaf $1.44 /ea. Onions – Yellow $.46 /lb. Tomatoes – Slicing $1.34 /lb. Tomatoes – Roma $.88 /lb. 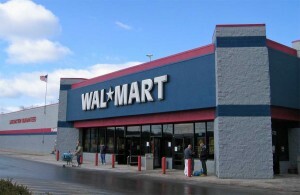 Print Walmart’s Coupon Policy & Ad Match Guarantee!